Moo proudly presents this discount code to all TroopScout users: serving members, ex-forces, family and friends. Click ‘Get Code’ to get the voucher code and open the MOO website. Find the design you like, or upload your own. Customise as you like. Click ‘Add to Cart’ once you have finished your tailor made design. Click ‘Checkout’ above or below your shopping cart. Select your preferred delivery options, and then find ‘Add Promo Code or Gift Card’ on the right hand side. Click on it to bring out a pop-up where you can enter the discount code. Type in the TroopScout promotional code in the box provided. Make sure you have correctly selected the ‘promo code’ option. Click ‘Use my Code’. Once the discount has been applied, click ‘Continue’ at the very bottom of the page. Either sign in as a returning customer or create an account as a new customer. Fill in your delivery and payment details to finish and make your purchase. Be over the MOOn with your order! MOO is an innovative printing company focussing on exciting new and playful designs aimed to elevate every business. Using the best premium quality materials and beautifully created templates and designs, MOO aspires for every business to flourish by making and strengthening relationships, opening our horizons to endless opportunities. MOO offers work in many different forms, from business cards and flyers to letterheads and invitation cards. Simply go to the ‘Products’ section and you’ll find everything they have to offer. In need of inspiration on your own design? No problem, just go to the Inspiration Gallery where you can look through their archive of past works from previous customers. Have your own design ready? They’ll happily create that for you too, simply upload it to the website and they’ll take it from there. MOO want to ensure you are delighted with your end products. 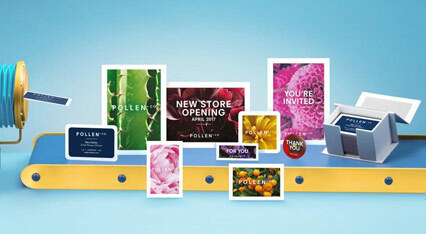 So much so that they offer what they like to call the MOO Promise; if you or they find a typo or mistake, or you would simply like a change in the design, MOO will fix these issues for free. They have total control over their orders from start to finish, made within their very own warehouses in the UK and the US making it possible to do this. With award winning customer service and over 5,300 five star reviews from happy customers, order your prints with MOO not only for great innovation but for top customer service too! This Moo discount code cannot be used in conjunction with any other offer or applied to previously placed orders or cake.